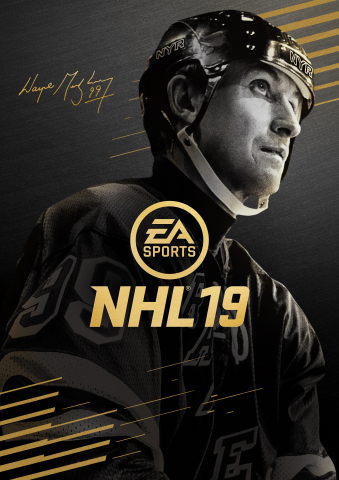 REDWOOD CITY, Calif.--(BUSINESS WIRE)-- Electronic Arts Inc. (NASDAQ: EA) pays homage to Wayne Gretzky with the announce and launch of the EA SPORTS™NHL® 19 ‘99 Edition’, available worldwide today for a limited time as a digital download on the PlayStation®4 and Xbox One. The 99 Edition features new cover art of The Great One himself and added benefits in Hockey Ultimate Team™ (HUT) including the choice of one-of-five Gretzky player items as a permanent addition to one’s rosters, eight gold packs and the choice of one-of-six NHL legends. There’s no better time for gamers to jump into “one of the year’s top sports releases,” according to Bleacher Report. In NHL® 19, playerscan compete on outdoor ponds under a unified progression hub called World of CHEL that unites EA SPORTS Hockey League, NHL® THREES Drop-In and two new game modes, NHL® ONES and Pro-Am. NHL® ONES pits three players against each other in a festival-like king of the hill tournament featuring fast-paced, 1v1v1, free-for-all fun, with no rules and no stoppages. Players win games to rank up to new outdoor locations and defend their position on daily leaderboards. Progression and rewards earned in World of CHEL can be applied to each player’s Create-A-Character, allowing them to personalize their gameplay with new player traits and abilities, as well as express their individuality with over 900 new customization items. EA SPORTS NHL ® 19 ‘99 Edition’ is available now worldwide. EA Access subscribers on Xbox One can play NHL® 19 free for up to 10 hours and receive a 10% discount on purchase of the full game*.